You've got to be so careful what you say these days, but our Polly the Talking Parrot isn't, and lets them rip with one sensitive and rude wisecrack after another. 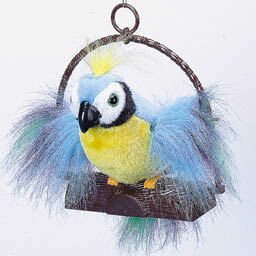 The Talking Parrot is one dirty little bird. 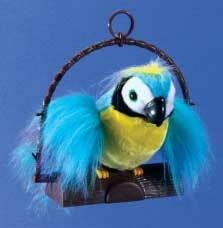 Polly looks innocent enough sitting on his little perch, but when the Talking Parrot detects motion, he lets the expletives fly! 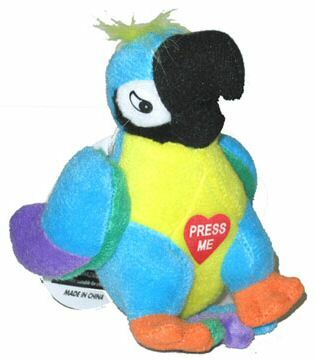 In a fun parrot voice, Polly the Talking Parrot insults anyone who crosses in front of him, and make you want to punt him like a football. 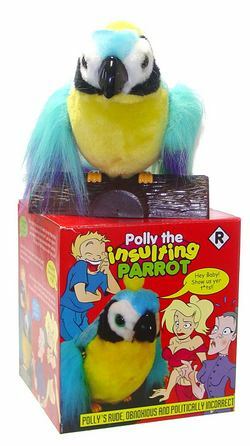 Polly wants a [email protected]#$% cracker! Hey you! Go [email protected]#$% yourself! Hey Baby! Show us yer [email protected]#$%!